Any visit to London, regardless of the purpose, is exciting, invigorating and fascinating but sometimes you do need to kick back, relax and treat yourself to some pampering. There are wonderful options for anyone looking to be primped, preened, pampered and polished in this amazing city of ours, but I’ve selected the top 8 for you to choose from. London’s hotel spas offer myriads of choices for everyone who is looking for a little indulgence; from the most discerning spa connoisseur to girly groups looking for a fun weekend away to couples wanting to spend quality time together to those on a budget, these are my picks of top London hotels with amazing spas. There is a very good reason that the Corinthia has become a solid favourite for celebrities and high flyers, it is the ultimate grand five star hotel experience with absolutely impeccable facilities and service. The location is unbeatable, moments away from Trafalgar Square, the West End and the banks of the River Thames, London is literally on your doorstep. The hotel is impressive with fabulous chandeliers, palatial public areas, modern artwork, two grand restaurants and a glamorous bar. 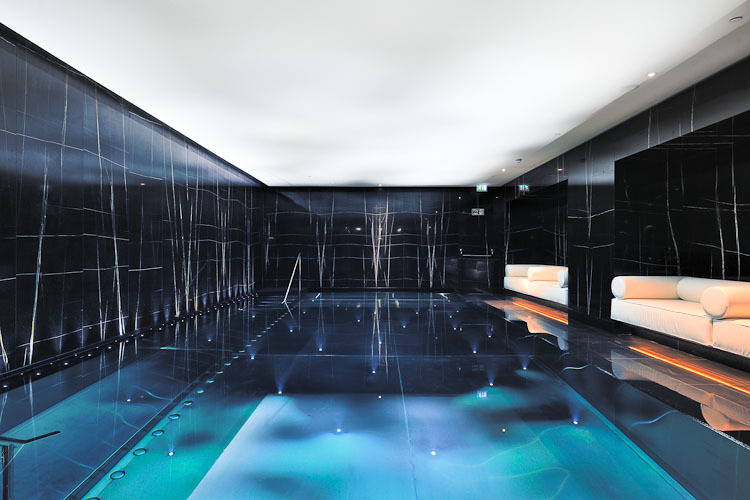 The exclusive, luxurious ESPA life at Corinthia is impressively laid out over four floors. The spa features a private spa suite, seventeen private treatment rooms, nail studio, indoor swimming pool, vitality pool, amphitheatre sauna, ice fountain, marble heated loungers, private sleep pods and a twenty four hour gym. Sleekly decorated with black Italian marble, shiny chrome and warm textured leather. Services range from massage and spa day experiences through to stay and spa packages. Whether you are complimenting a sight-seeing visit to London with some relaxing and rejuvenation or you are looking for a destination spa weekend, the Corinthia is the number one choice for luxury spa hotels. The moment you step through the iconic, imposing iron gates into the sprawling courtyard of the Rosewood hotel you know that you are about to experience something special. Housed in a beautifully renovated Edwardian mansion, the five star hotel has 242 spacious rooms, 44 grand suites, 2 great restaurants and second to none service. 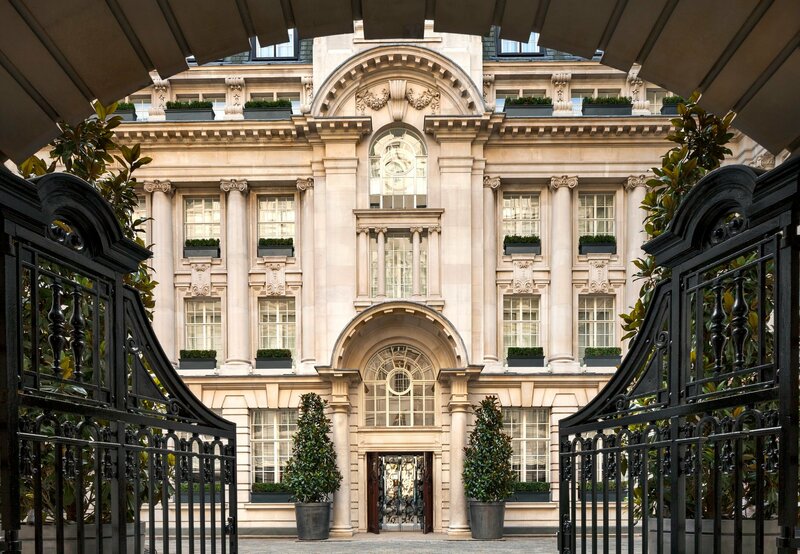 Located just a five minute stroll from Covent Garden in Holborn, the Rosewood is the perfect indulgent spa weekend destination. Like the rest of the hotel, Sense Spa oozes style and tranquillity with bamboo walls and wooden floors complimented by soothing water features and soft lighting. The central relaxation lounge is adorned with comfortable lounges for guest to relax pre and post treatment. Each of the seven treatment rooms has its own private shower and the spa features a sauna, steam rooms and large sensory showers. Celebrity hair stylist Matthew Curtis has a boutique salon within the spa for those wishing to experience full head to toe pampering. Spa treatments takes a personalized approach, customising experiences to one’s individual needs to achieve serenity, radiance and overall well–being. Location, Location, Location! 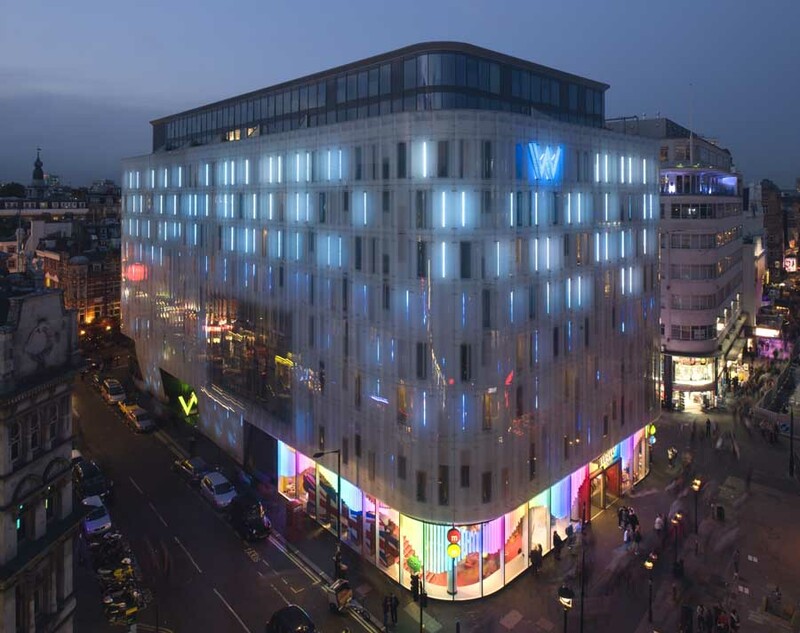 The ultra-trendy W hotel stands proudly in the heart of London’s bustling Leicester Square, just moments away from the glamorous West-End, Soho’s pumping nightlife and the fabulous shopping on Oxford Street. The W hotels design and interiors are a welcome change from many traditional hotels. With fashionable furniture, funky light features, disco balls and padded wall features, it feels more like an exclusive club than a five star hotel. Located on the 6th floor, the W Hotel’s resident spa, AWAY, is the go to place to get glammed up with their team of celebrity therapists on hand to give you head to toe star treatment. 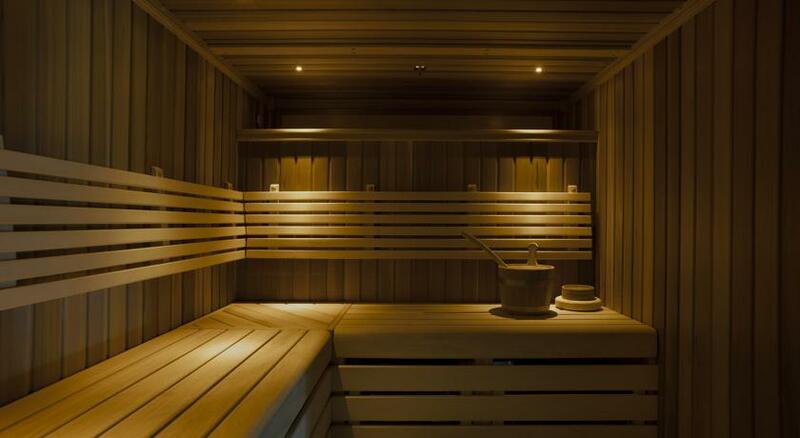 The sauna, steam room and relaxation lounge all help with the unwinding and can be used pre and post treatment. AWAY’s extensive spa menu features relaxation packages, massages, scrubs, facials, nail treatments, waxing, tinting, tanning and hair styling by Adam Bennett. 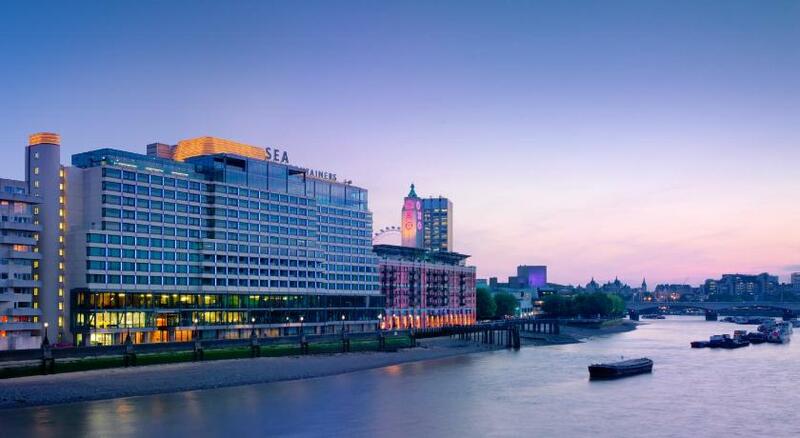 Location, views and glamour are all in abundance at Mondrian London, a Morgan’s hotel with a stunning riverside location on the South bank of the river Thames. The views are particularly spectacular from the hotels rooftop bar where you can take in the cityscape across the river and many of London’s famous sights from the outdoor terrace. The hotel is styled with lots of copper, brass, glass and low stylish lighting, you can be forgiven for mistakenly thinking you were in a nightclub and not a hotel. 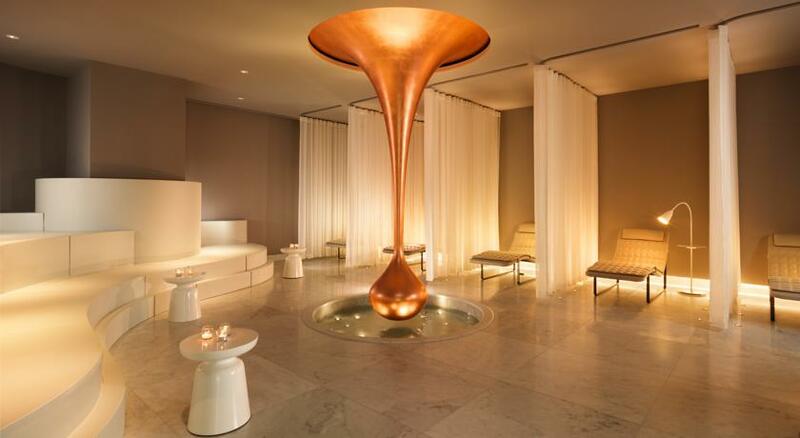 The sleek Agua Bathhouse and Spa is bright and spacious with a touch of Hollywood Glamour. The spa has a relaxing lounge complete with thoughtful sheer curtained partitions around reclining lounges. There are six private treatment rooms, including a couples’ suite and a private thermal suite as well as a nail and grooming lounge and separate male and female steam rooms with rain showers. The spa menu is vast, includes all of the usual suspects and has unique peak and off peak pricing. Perfect for hen parties or girly weekends is the Glamour Room where you can get preened, prettified and pampered in a soul uplifting setting more members’ club than nail bar before a big night out. A number of Glamour Room packages are available and include a champagne cocktail, manicure and pedicure and additional treats if you so choose. 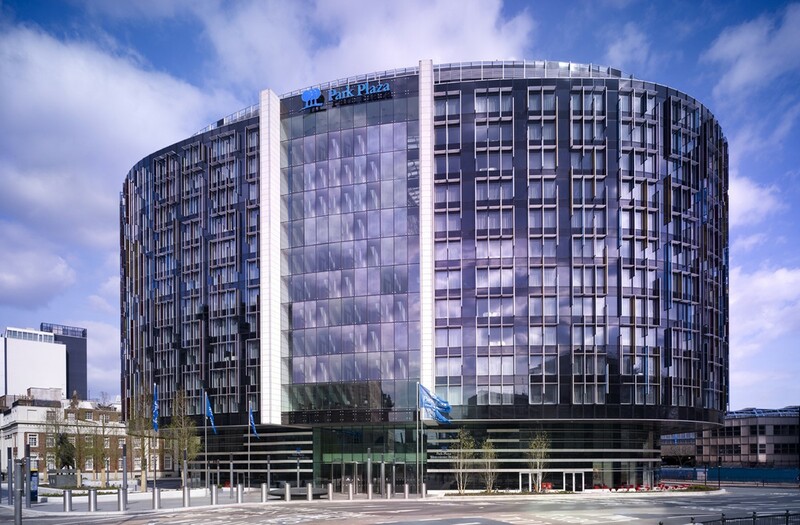 The large contemporary Park Plaza London Westminster Bridge hotel is in a great location on the South bank of the Thames and a ten minute walk from many of London’s famous sights including Big Ben, The London Eye, Houses of Parliament and Westminster Abbey. The hotel is huge, boasting 1019 rooms, three restaurants, a lounge bar and Asian style spa. The hotel is sleek and stylishly decorated and has modern furnishings and fittings. Mandara spa provides guests with a relaxing environment to escape and be pampered. Keeping in theme with the hotels feel, the spa is modern and contemporary whilst maintaining touches from Asia like the black stone water fountain and bamboo features. Spa facilities include one double and six single treatment rooms, manicure and pedicure stations, swimming pool and relaxation lounge with refreshments. The spa offers treatments and products from Mandara Spa, Elemis Face & Body Therapies, and Bliss Nails & Waxing. Spa treatments are reasonably priced and the menu is extensive with everything from non-surgical face lifts to aromatherapy foot massages. The Rembrandt Hotel is a stylish, modern hotel located in South Kensington, London’s beautiful museum Quarter. Close by you will find the V&A Museum, Natural History Museum, Royal Albert Hall, the iconic Harrods department store and Hyde Park. The 193 room hotel has colourful decor and high-tech amenities. Along with a full bar, lounge, and restaurant, gym, heated pool, Jacuzzi, and sauna at the adjacent Aquilla Health and Fitness. 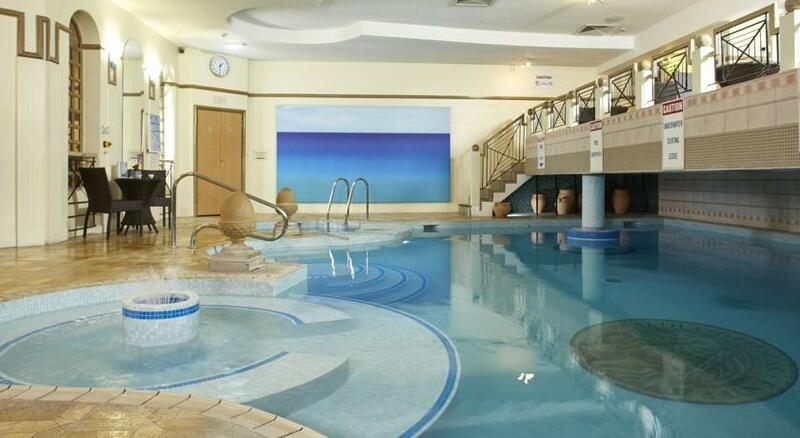 The art deco style indoor swimming pool is heated all year round. Aquilla offers great value for money beauty and spa treatments with packages starting from just £50 per person. There are packages to suit every spa whim from mini pamper days and afternoon tea beauty packages to weekend accommodation packages and hen spa weekend packages. Pestana Chelsea Bridge Hotel & Spa in Battersea is located within easy walking distance of London’s ever posh Sloane Square and the Kings Road. All rooms are a very generous size and overlook either Battersea Park or Battersea Power Station. The four star hotel has a contemporary, cosmopolitan, European style with modern fittings and amenities. 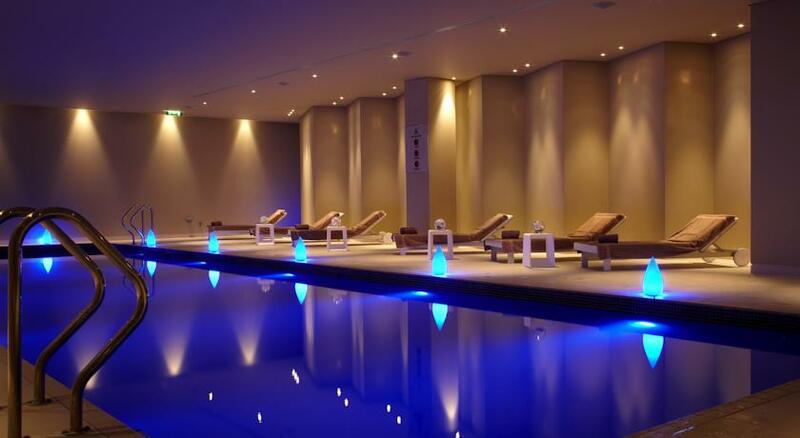 Pestana’s spa is located in the hotels basement and is centred on a stylish turquoise lap pool. Featuring a sauna, steam room and relaxation area with lounge beds. The atmosphere of the spa is warm and relaxing and treatments are delivered by expert therapists whose sole focus is on your satisfaction and comfort. The extensive spa menu has something for everybody with massage treatments, body treatments, rituals, facials and a range of aesthetic treatments with their medical team which is a standout from most hotel spas. Treatments and packages are very reasonably priced and can be packaged into a bespoke stay and spa package. The spa has also famously been featured on the television series “Made in Chelsea” which documents the lives of some posh young Chelsea residents. St. Pancras Renaissance Hotel located in one of the most iconic Gothic buildings in London, originally opened in 1873 to accommodate travellers through the St. Pancras rail station. The five star Kings Cross hotel is truly impressive with its huge lobby, striking grand staircase and soaring gothic windows. You will feel like you have been transported to a time when travel was truly glamorous. The old booking hall has been restored and converted into a leather and dark wood clad bar and restaurant with towering windows that look onto the hustle and bustle of the railway station. The luxurious St Pancras Spa is a haven of renewal and tranquillity with a slightly Moroccan feel. Occupying the hotel’s former steam kitchens, restored Victorian tile covered walls and dramatic arched windows surround a sapphire blue relaxation pool, sauna, steam room and relaxation beds. Spa treatments draw inspiration from traditional beauty and relaxation rituals from around the world and there are a number of “Spa Journeys” to locations around the world like “Journey to Indonesia” which includes a Balinese massage, Papaya Radiance Scrub and Ritual of the Five Flowers Facial. As well as spa journeys there is a large selection of usual spa treatments and packages. St Pancras Spa is the perfect haven for any special occasion or to simply spend quality, rejuvenating time together. 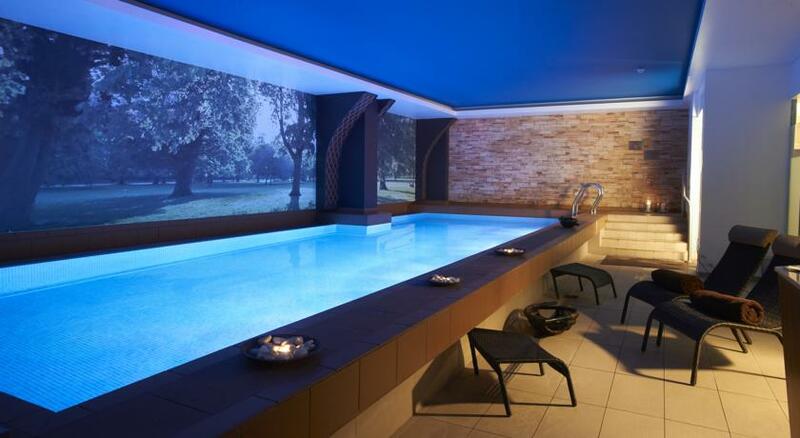 You can also search hundreds more London hotels to find your perfect spa destination.